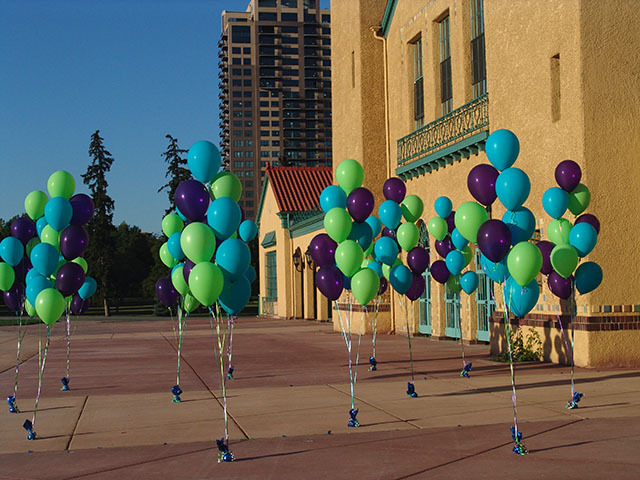 Denver’s City Park is a great backdrop for your local party. 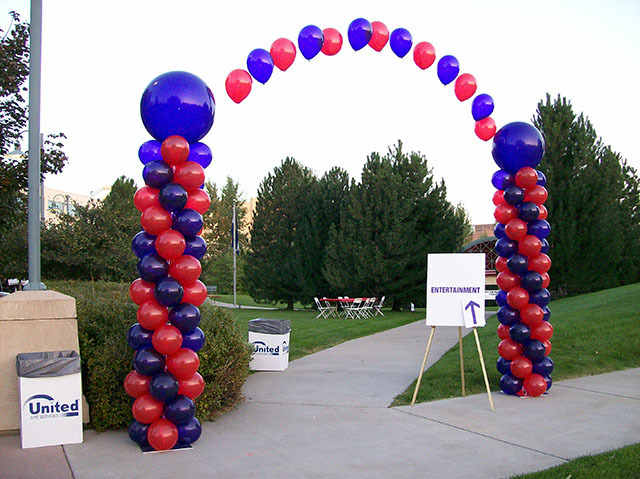 If you hold it in the park it will also cost you nothing as well. 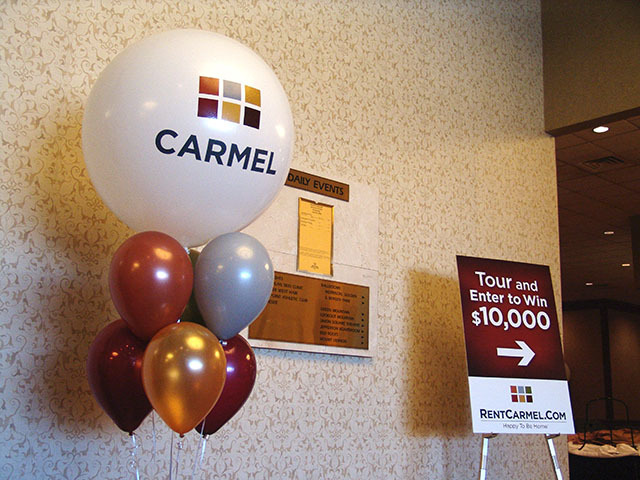 More money to spend on Balloons! 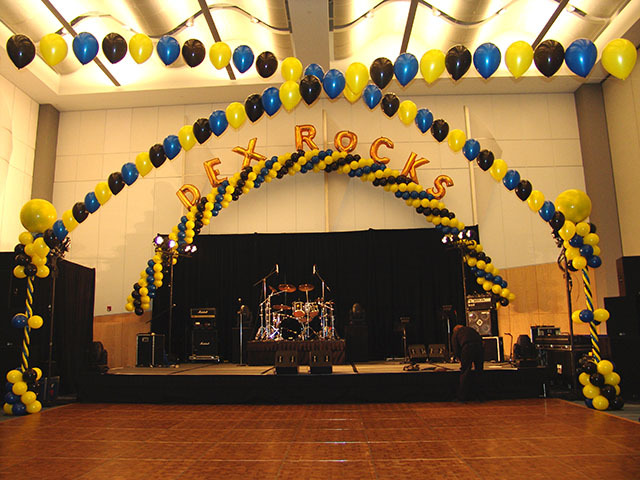 When Dex throws a party, Look Out! 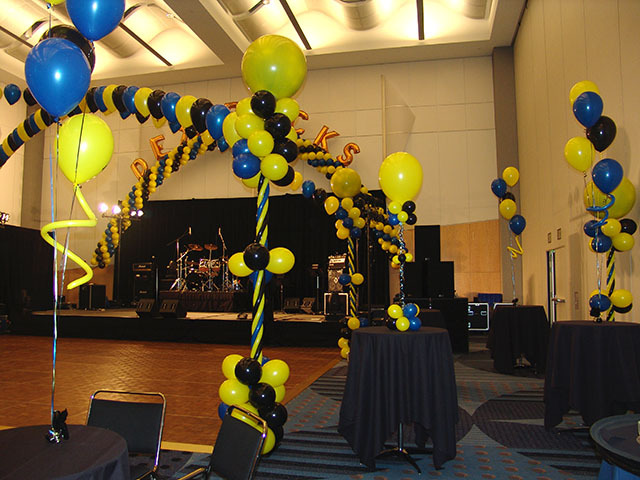 Here we used two differnet types of balloon arches and exploading balloon toppers on balloon columns. 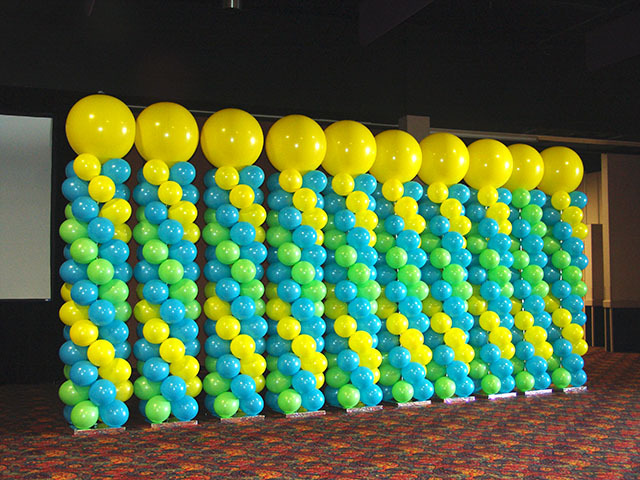 Printed balloon bouquets and several directionals to get this party jumping. 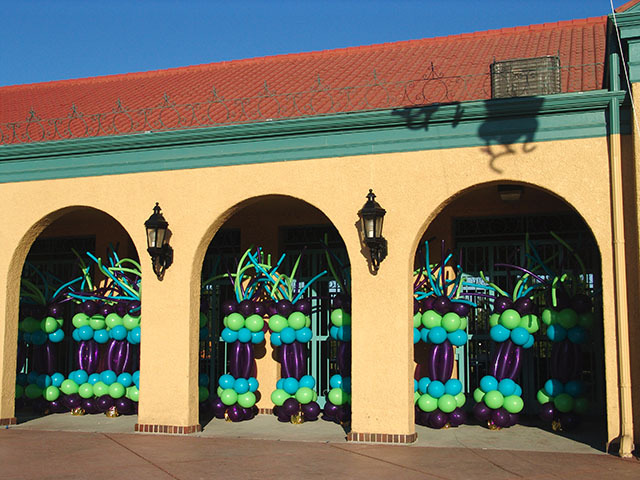 Balloon columns add a huge splash of color anywhere in your event. 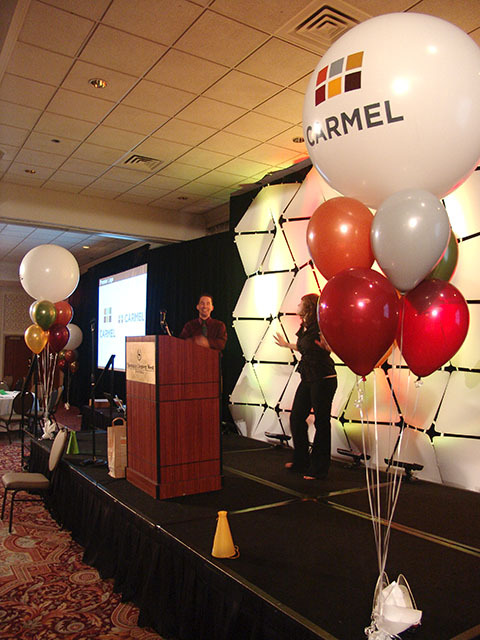 We can make different sizes and colors and even add signage so they can act as event directionals.